Granite has numerous tones and shades that you can choose from. It also has many speckled colors due to stones like quartz, biotite, mica and feldspar embedded into it. Granite countertops for the kitchen shine and look glossy when polished. Marble is usually cream colored or grayish white, with dark veins running through the stone. It can also have a pink or pale green base color, but these varieties are rare. It has a smooth finish, but there are some sealants are available which impart a glossy look to marble countertops for the kitchen. Choosing between granite vs marble countertops, in terms of appearance, depends on your individual taste. 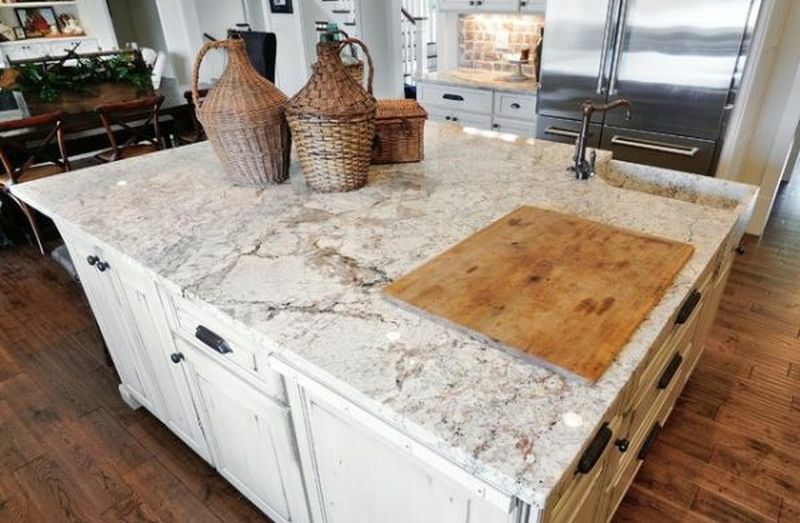 Granite countertops for the kitchen are considered to be the most durable (among natural countertop materials), as they can resist chips and cracks. You can place hot pots and pans directly on the granite surface without damaging it. Any spills can be wiped away easily. Marble is also chip and crack resistant, but it is more porous and can stain more easily than granite. If you choose marble countertops for the kitchen, you must be careful while handling acidic food as any spill might cause it to stain. Sealing both the surfaces will make them stain resistant, and you should do this once in every few years. 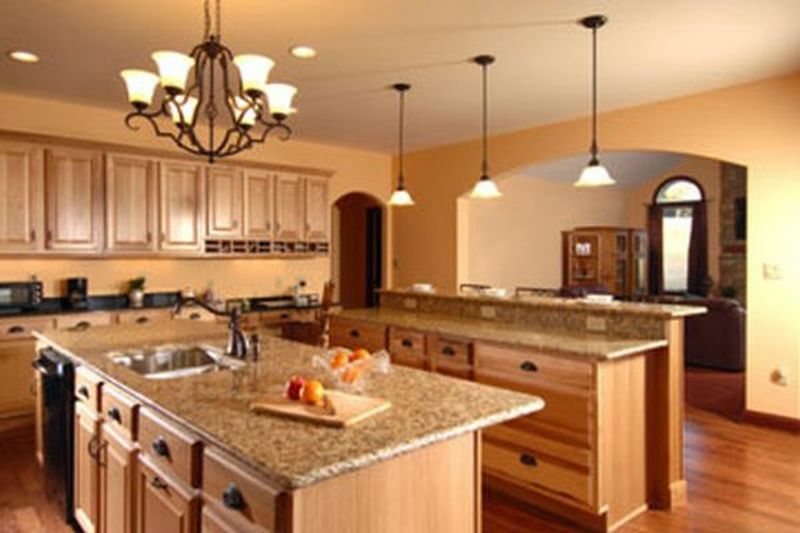 A point in favour of granite countertop, is that you can maintain granite countertops very easily. Marble countertops need medium to high maintenance, as you have to be regular with the sealing or else it might stain and look ugly. And replacing a whole countertop just because of a small stain is an expensive affair. 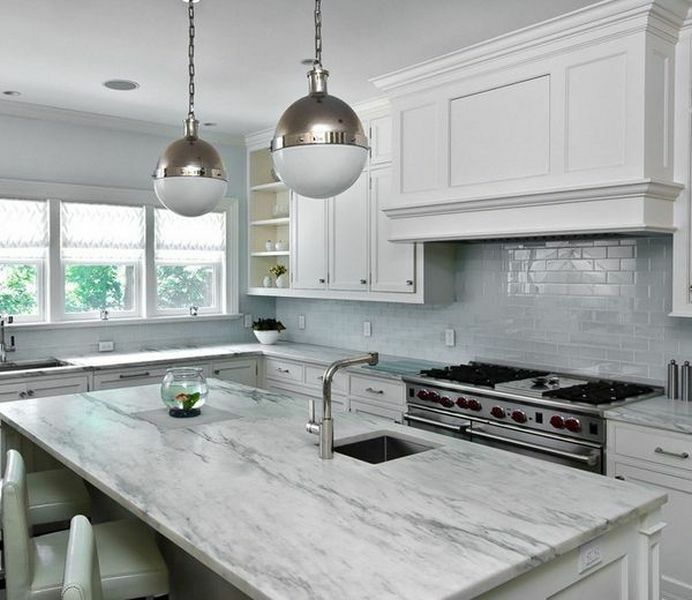 But the smooth sophistication of marble is hard to beat, and if you are willing to put in the maintenance work, marble can be a great countertop for the kitchen. 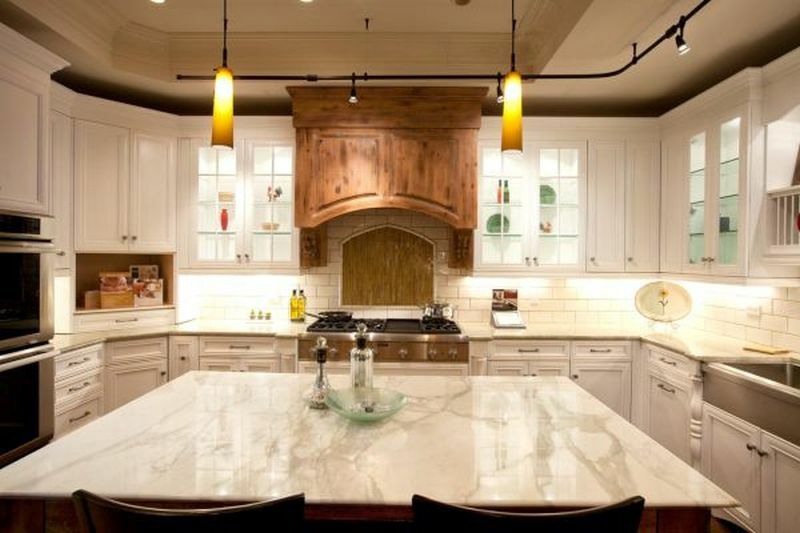 You can choose marble for countertops in areas which see less traffic. You can also use marble in your bathroom or even for flooring. Stains can be removed depending on the degree of staining. If the stain is deep, it will cause damage to the stone and will not be easily removed, but superficial stains can be removed with the help of stain removers. Granite countertops cost a little less than marble countertops for the kitchen. The cost of both depends on the appearance and the color of the stone. However, high-end marble costs more than the best quality granite. You should get comparative quotes from at least three different sellers, including installation cost, before selecting the material for your countertop. Neither marble nor granite is eco friendly as a huge amount of energy and fuel are necessary to mine and cut the stones. Also, a lot of pollution is emitted during their transportation and installation. 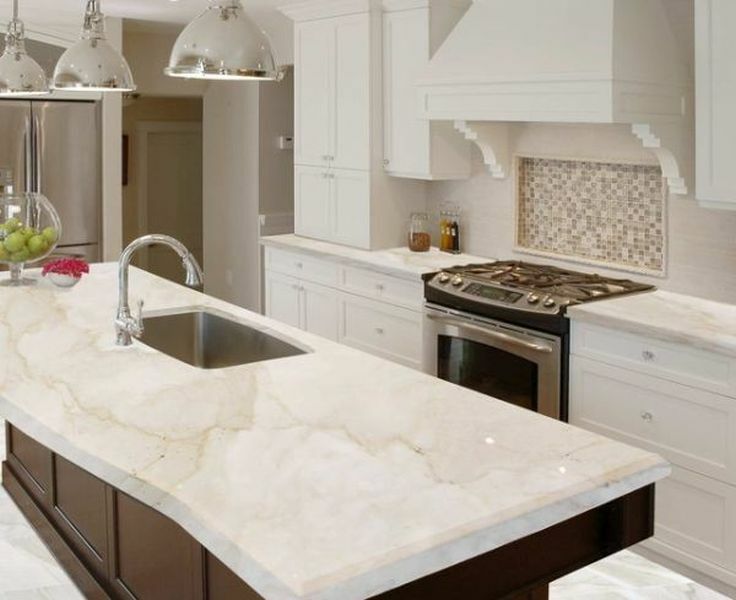 You can choose marble or granite for your kitchen as they both look graceful and elegant, provided you are prepared to maintain them as they require a lot of maintenance. Sealing once in every couple of years, and being careful not to spill, are some measures which can help the marble or stone countertops to retain their natural beauty.